2 Bedroom End of Terrace Cottage For Sale in Ashford for Offers in excess of £325,000. Mann are excited to welcome to the market this well presented, and homely two bedroom Grade II Listed cottage. Located in the extremely desirable Great Chart is a largely agricultural. The north-east quarter contains most of the housing in alike construction 20th and 21st century neighbourhoods. A cluster of listed buildings is in the old centre of Great Chart, along the main road in the village (the Street). This property also offers great access to local amenities and great commutable access to Junction10, M2 and Ashford International Train Station. One of the biggest assets this properties location offers is that is within the catchment area for Great Chart Primary Schools which has been rated outstanding by Ofsted. Originally two cottages, now one charming, Grade II listed home, this property must be viewed to appreciate the character and potential on offer. Internally you have two reception rooms, a recently fitted bathroom, utility room, kitchen, conservatory, two double bedrooms and two further loft rooms which could be used as bedrooms. Outside you have a courtyard off the conservatory and down the pathway the garden opens up to a generous lawn area with fruit trees and a summerhouse. 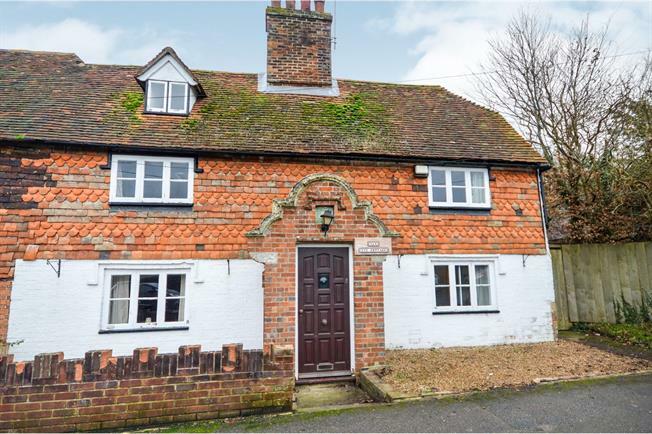 This beautiful cottage must be viewed to appreciate the original features this property still has to offer. Radiator, tiled flooring. Composite work surface, built-in and fitted units, stainless steel sink, space for oven, integrated, induction hob, overhead extractor. Heated towel rail, tiled flooring, tiled walls. Standard WC, panelled bath with mixer tap, shower over bath. Double aspect double glazed uPVC windows facing the rear and side overlooking the garden. Tiled flooring. Double glazed uPVC window facing the front. Radiator, carpeted flooring, chimney breast and exposed brick. Double aspect double glazed uPVC windows facing the front and side. Radiator and wood burner, carpeted flooring, chimney breast and exposed brick.